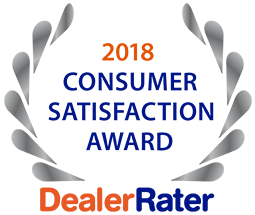 At 5 Star Auto Plaza we have an amazing lineup of pre-owned and slightly used vehicles from all the major manufacturers like Dodge, Chevy, Pontiac, Chrysler, Cadillac, Buick, GMC, Hummer, Buick, Jeep and Saturn vehicles. However, it is possible that after looking through our varied online inventory you still may not find the right vehicle for you. But rest assured that if you’re in the St. Charles, St. Peters, O’Fallon, Florissant, Chesterfield, St. Louis, Maryland Heights, Wentzville and Hazelwood areas make sure you try out our new and improved CarFinder program. Simply submit your basic information below along with the used, pre-owned or certified vehicle you are interested in and then sit back let us do all the work for you. You will be the first to be notified when any cars matching your interest become available to us! We will even send you photos and details of the vehicle(s) that interest you most, no hassles, no obligation. Your request is kept confidential to our dealership and will not be resold to other parties. Rest assured, if you are on the lookout for a new vehicle, let 5 Star Auto Plaza do all the work and find it for you.